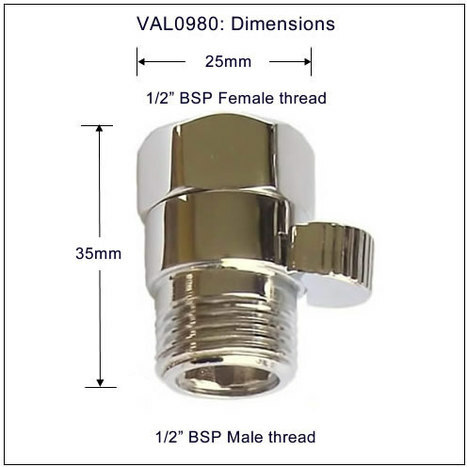 I was so impressed with the VAL0980: Inline ceramic control valve, just could not believe it as this is something I have been looking to fit for a while, just perfect so this was the third one that I have purchased from yourselves. So yet again what else can I say all the products that I have purchased from you are of excellent quality and your speed of delivery cannot be faulted. Quality always pays in the end. Secure packaging, early delivery, of quality construction, easy installation. Recommended product. Good product well made piece of kit. I bought this valve as my bidet tap that I bought elsewhere kept leaking every now and again. It would flood my bathroom floor unless I turned the mains off. So I was looking for a solution online where I didn't have to climb on a chair to get to the mains and stumbled upon this website. this valve is a great solution and it's working very well so far. I would definitely recommend it! VAL0980: Inline ceramic shower valve. Quality inline valve, ceramic core seals for the best water tight seal when closed, partially open to restrict water flow. 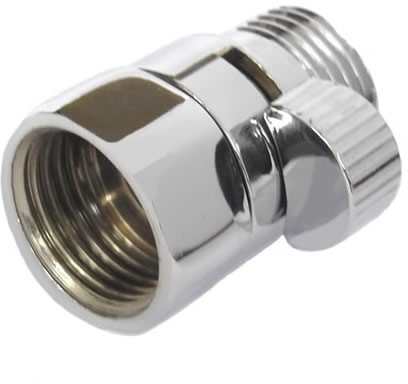 Installs between the hose and shower head allowing easy regulating of the water flow, or as a mains isolating valve between the water outlet and shower hose. 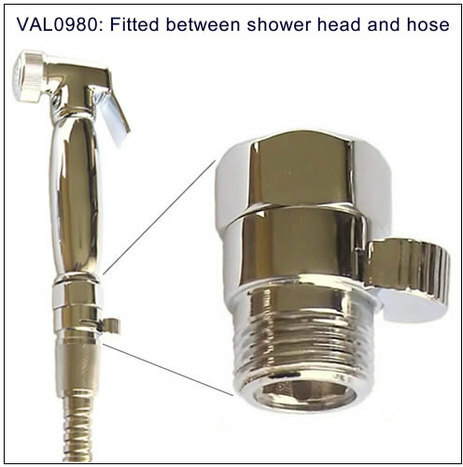 VAL0980: Inline Ceramic Shower Valve. Quality inline valve by wet-water, ceramic core seals for the best water tight seal when closed, partially open valve to slow water flow. Installs between the hose and shower head allowing easy regulating of the water flow, or as a mains isolating valve between the water outlet and shower hose. Solid Brass construction with a 12 micron mirror chrome finish. Standard 1/2" BSP connection via male and female thread. Literally fitted in seconds, no tools required.